Who is Big Fish Games gonna call? Do you know how to operate an EMF detector, geiger counter and Tri-Field meter effectively? Are you comfortable working with mediums, demonologists and spiritual leaders? Can you keep a straight face while claiming all of the above in a serious, business-like manner? Then you may be just the person that Big Fish Games is looking for! The casual gaming colossus wants to bring an honest-to-goodness paranormal investigator on board for a one-month contract to help its developers "understand the mysteries of the spirit realm." "We're fanatics for spooky user experiences inspired by beautiful design and grounded in real life familiarity," the job posting says. "You are a top-notch Paranormal Investigator interested in helping us create fun, compelling game experiences that support and extend our top brands. You possess eye for aesthetics and a mind for marketing in all areas of visual communication including typography, composition, color, and interaction. You are willing to set aside personal tastes and biases and be the number-one advocate for our players. You eat paranormal mysteries for breakfast, lunch, and maybe even an afternoon snack." Responsibilities include traveling to haunted locations, working late nights and weekends with little or no accommodations, working in dark, enclosed areas, collaborating with "smart, passionate people who geek out on their work as much as you do," and of course being comfortable in front of a camera. The successful applicant will have skill with EMF detectors, ION detectors, Geiger counters, IR cameras, Tri-Field meters, Gaussmasters and other ghost detection devices, be comfortable working with experts in other paranormal disciplines and have the usual ability to work independently, think creatively and have a desire to learn and work in a dynamic environment. 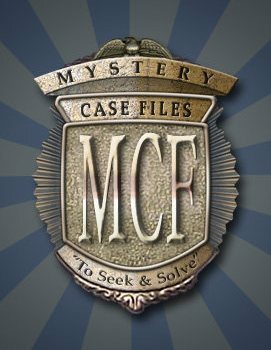 The job posting doesn't reveal what exactly Big Fish wants with a paranormal investigator but my guess is that it involves the next chapter in the company's Mystery Case Files franchise, a series of popular hidden object adventures featuring paranormal themes. Whatever the reason, it's obviously a position of great import and responsibility. If you think you've got what it takes, you can get all details and submit your name for consideration indeed.com. But please, people: professionals only.